Ding dong! This Melissa and Doug Doorbell House is one of the more unusual wooden toys in our selection and it is all the better for it! This sturdy wooden house has four doors, each with unique electronic doorbells and a lock with its own key. Children will love trying each doorbell and then accepting the challenging of selecting the correct key to unlock each door. 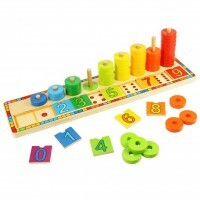 This stimulating toy will help children learn familiar sounds as well as the important life skill of how to lock and unlock doors. Plus, there’s no need to worry about losing the keys as they are strapped to the house to stop them getting mislaid! 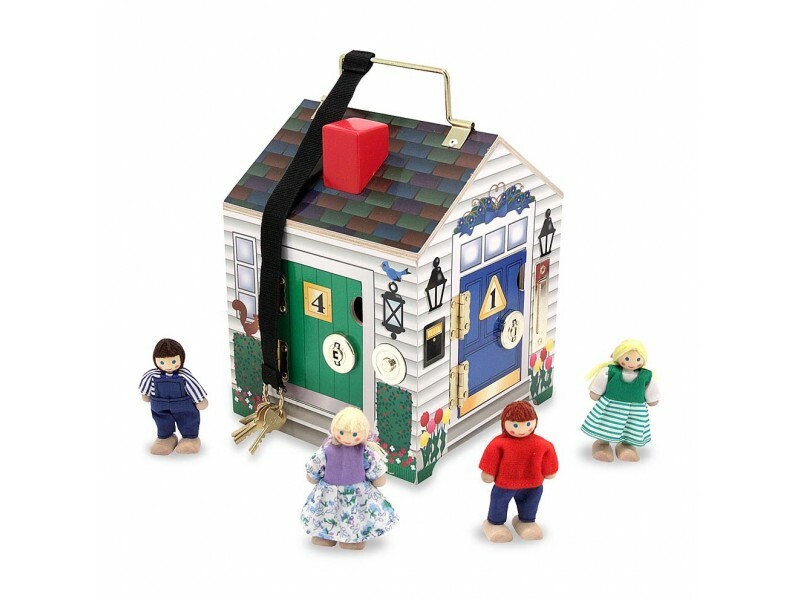 The Doorbell House comes with four wooden dolls who will add even more fun to this clever wooden toy. Dimensions: 9" x 6.8" x 6.8" when assembled. A lovely Christmas present for my granddaughters aged 2 and 3. I am certain they will love the little house and figures. Nice solid toy; doorbells are not quite loud enough. Excellent -well made. 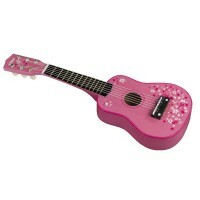 My grand daughter played with it all the time she stayed with me and loved it..